Godai refers to the five elements representing the Buddhist universe: earth, water, fire, wind and sky. Many representations of this philosophy are found in Japan, most notably in Buddhist architecture. The colors in this collection evoke these five great elements. 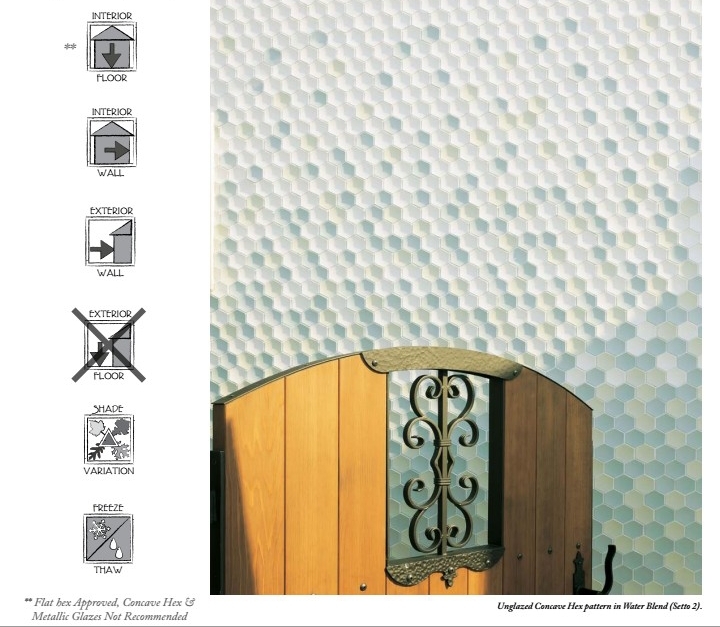 Godai series of glazed porcelain mosaics is a uniquely Japanese rendition of the traditional hex tile featuring sublime glazes and a dramatic concave surface. Also available in a flat surface.